Located in Zadar, Villa Irena is by the sea, within a 10-minute drive of Kresimir Cosic Hall and Stanovi Stadium. This apartment is 3.2 mi (5.1 km) from City Galleria and 3.2 mi (5.2 km) from Church of St. Simeon. When you stay at Apartments & Rooms Petra in Zadar, you'll be on the waterfront and convenient to Greeting to the Sun and Chain Gate. This apartment is within close proximity of Sea Organ and Church of Our Lady of Health. Make yourself at home in one of the 6 guestrooms, featuring kitchens. Rooms have private balconies. Featured amenities include wired Internet access (surcharge) and a 24-hour front desk. With a stay at Central Apartments - Integrated hotel in Zadar (Zadar Old Town), you'll be steps from Kalelarga and St. Elias's Church. This 4-star apartment is 0.1 mi (0.1 km) from Church of Our Lady of Health and 0.2 mi (0.3 km) from Chain Gate. 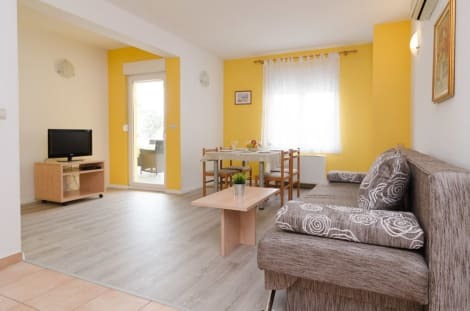 Featuring panoramic views of Zadar's Old Town, Villa Hrešć offers air-conditioned rooms, free internet, free private parking and an outdoor pool. The property is a 25-minute walk away from the Old Town. All of the modern and elegantly furnished rooms and apartments in the Villa Hrešć have parquet floors and are equipped with a satellite TV. Make yourself at home in one of the 9 air-conditioned rooms featuring minibars and flat-screen televisions. Complimentary wireless Internet access keeps you connected, and cable programming is available for your entertainment. Private bathrooms with showers feature complimentary toiletries and hair dryers. Conveniences include safes and desks, and housekeeping is provided daily. When you stay at Hotel Kolovare in Zadar, you'll be on the beach, within a 5-minute drive of Land Gate and Port Gate. This 4-star hotel is 1.1 mi (1.8 km) from Museum of Ancient Glass and 1.5 mi (2.5 km) from Kresimir Cosic Hall. Take in the views from a terrace and a garden and make use of amenities such as complimentary wireless Internet access. 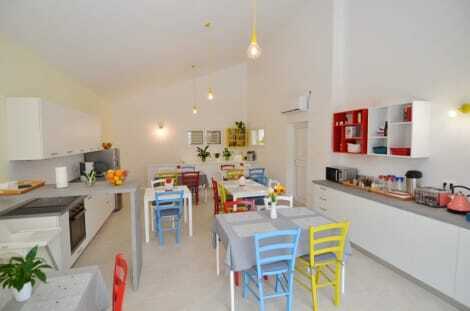 This apartment also features concierge services, complimentary babysitting/childcare, and a picnic area. With an enticing mix of preserved ancient ruins, restored medieval landmarks, and a bustling, increasingly cosmopolitan nightlife scene, Zadar an ideal choice for culture seekers looking for exotic scenery, historic treasures, and accommodation that is much more affordable than many other Mediterranean resorts. Furthermore, because this city is not as well known as Dubrovnik, it is not nearly as busy during the main holiday season, and, consequently retains its authentic Croatian charm. Originally a basilica built during the Roman Empire, Zadar Cathedral is a prominent Romanesque church that was completed in the 13th century, following extensive damage after sieges by the Crusaders and the Venetians in the previous century. Officially known as St Anastasia's Cathedral, the tower offers fantastic views of the city, and the portal is noted for its elaborate rosettes. Another formidable sight, more than 1,000 years old, St Donatus' Church is a classic example of Carolingian-style architecture, although it was originally named the Holy Trinity Church. The building is now the venue of the International Festival of Medieval Renaissance Music, and is no longer used for religious worship. Just off the shore is the pictorial island of Ošljak, which is relatively untouched by high-scale tourism and has been inhabited for approximately three millennia. The island, which is overlooked by the ancient Church of St Mary, is just one of more than 1,200 islands off the Croatian coast, and the least inhabited. See the impressive Monastery of St Francis Assisi, which was built in the 13th century and is the oldest Gothic-style Dalmatian church in existence. Another fascinating sight is the ruined Roman Forum, which is more than 90m wide and was completed more than 1,800 years ago. If you have the time, visit the Museum of Ancient Glass, which is the largest Roman glassware exhibition outside of Italy and is in the majestic 19th-century Cosmacendi House. If you're a big fan of authentic Croatian recipes, choose the Hotel Bastion Restaurant, or consider the Bistro Gourmet Kalelarga or the Pet Bunara restaurant. For other terrific Mediterranean dishes, you can go to the Restaurant Bruschetta, enjoy some divine Italian and Mediterranean cuisine at the Pasta & Svasta restaurant, or visit Pearl of Siam for some fabulous Thai cuisine. 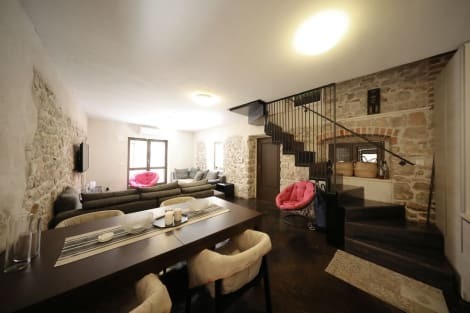 Book a stay at the elegant Hotel Niko, the beautifully presented Art Hotel Kalelarga, or the attractive Hotel President if you're looking for value-for-money Zadar hotels. Other places to consider include the deluxe, family friendly Falkensteiner Club Funimation Borik hotel, the chic, well-equipped Falkensteiner Hotel & Spa ladera, the charismatic Hotel Bastion, and the opulent Falkensteiner Hotel Adriana.